From a medic in the Navy and an avid rugby player, this month’s member in the spotlight knows a thing or two about working as a team, and the mateship that goes with it. That’s one of the reasons he first joined the Nerang RSL and we’re now delighted to share his story – meet, Mr. Bob Graham! Since joining the Nerang RSL in 2011, Bob has become a familiar face to many – thanks to his involvement across the club in selling raffles for the Vietnam Veterans of Australia Association, maintaining the Vietnam Veterans Memorial Garden and simply, pulling up a pew in the #4211SportzBar. Although a fan of the club’s hot chicken wings coupled with the perfect red, Bob says he was first drawn to the Nerang RSL for its sense of comradery and mateship in the community. “I joined the Navy in 1968 as a medic onboard HMAS Moresby, which circumnavigated Australia doing survey work before traveling to Singapore and Jakarta,” he said. “There was a very special bond formed with fellow military servicemen and servicewomen and it’s nice to be able to visit communities like Nerang RSL and Memorial Club to replicate that feeling. “As part of my time in the Navy, I was also a member of the Navy Colts Under 21’s rugby team, which was great fun. If I had duty on the weekends on the base and had to play rugby that day, I would be assigned to the team coach as my duty, which meant I got to play rugby. Bob also dedicated twenty-five years to the Department of Civil Aviation where he was a flight service officer and air traffic controller in various locations across Australia, before finishing his working life on the Gold Coast as a Surfside Bus Driver. 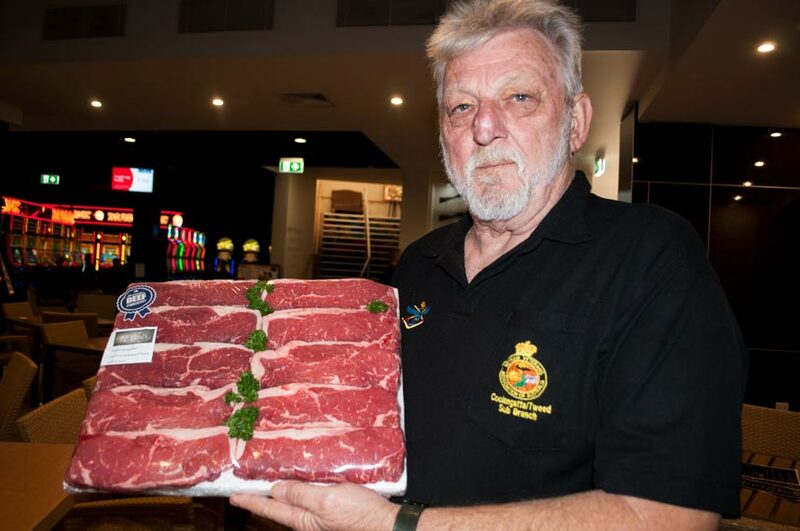 And since joining the Nerang RSL, Bob has become involved in regular volunteer work at the club and you’ll often find him selling meat raffle tickets or maintaining the Vietnam Veterans Memorial Garden. “I was truly honoured to have been nominated as caretaker of the Vietnam Veterans Memorial Garden,” he said. “I believe it’s a sign of respect to those who passed or didn’t return from service, to ensure the memorial gardens are well maintained. It’s a place of reflection and remembrance, so I take pride in keeping the gardens in shape, whether it be watering them or completing general maintenance as required. “When I’m not caretaking, I sell meat raffles as part of the Vietnam Veterans of Australia Association to support different functions and community groups.